The Hobart Kendo Club has quite a long history dating back almost 30 years and it is my understanding it was originally founded by Jamie Fennessey who had studied Kendo in Japan. Over the years it has gone through many participants, locations, highs, lows and I even heard a story about the club using Fence posts for Suburi practice in the early days because there were so few Shinai. My involvement with the Club began 6 years ago when my wife Heidi & I returned to Tasmania after having lived in Iwaki, Japan for 5 years (Yes – that’s Iwaki-City in Fukushima Prefecture – where the Earthquake & Tsunami occurred). While we lived in Japan we spent a considerable amount of time training in Kendo under a number of local 6th & 7th Dan Sensei anywhere from 3 to 7 days per week. We took part in Training Camps, Shinpan Seminars, regularly assisted as Shinpan in school competitions and entered several City and Prefectural Competitions. We even entered the East Japan Wadaki Tournament where we randomly met another Aussie one year, Nic Bartlett from QLD. Upon returning to Australia with our 3rd Dans proudly attained we immediately joined the Hobart Kendo Club which at the time was being run by Mark Woodland and Steve Foster. The Hobart Kendo Club had about 18 members at the time but in reality we’d only ever see 10 to 12 and training occurred once a week in a small hall. 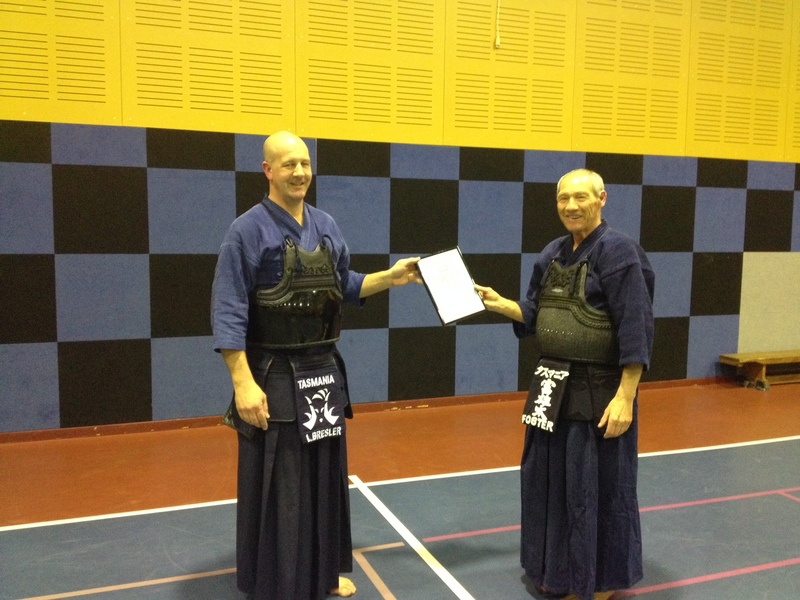 Mark and Steve also instructed some of the members in Iaido and Jodo prior to the Kendo training session each week. Steve Foster was recently awarded Lifetime Membership to the Tasmanian Sando Renmei Inc., for his wonderful contribution to Martial Arts in Tasmania. Steve Foster (R) receiving a Lifetime Membership from Tasmanian Sando Renmei President, Lars Bressler. As a small club in a small city (Hobart only has about 216,000 people) the biggest struggle for us is having such a low number of core senior members (those able to attend regularly and able to coach the training session). For the last few years there have only been 3 of us (myself, Heidi & Ho Lee) so this means we spend our time managing the club and teaching rather than training for ourselves. I think a part of our struggle is we are all in that age group where we have full time jobs, families, households to maintain and no matter how much we want to, spending extra time on Kendo isn’t an easy option at the present time. However given the recent influx of new members, we are again looking to expand our training opportunities and are considering starting another night of regular training. Our personal association with our hometown in Japan, Iwaki City, still continues and we have also extended this to the Hobart Kendo Club. A few years ago we contacted the Iwaki International Association and asked if anyone had any unused Bogu lying around. Within a few weeks we were sent 4 sets of children’s Bogu. Not long after that the Earthquake and Tsunami occurred, which led Heidi to conduct a fundraising campaign because many of our friends, Sensei and Iwaki International Association Members were directly affected. 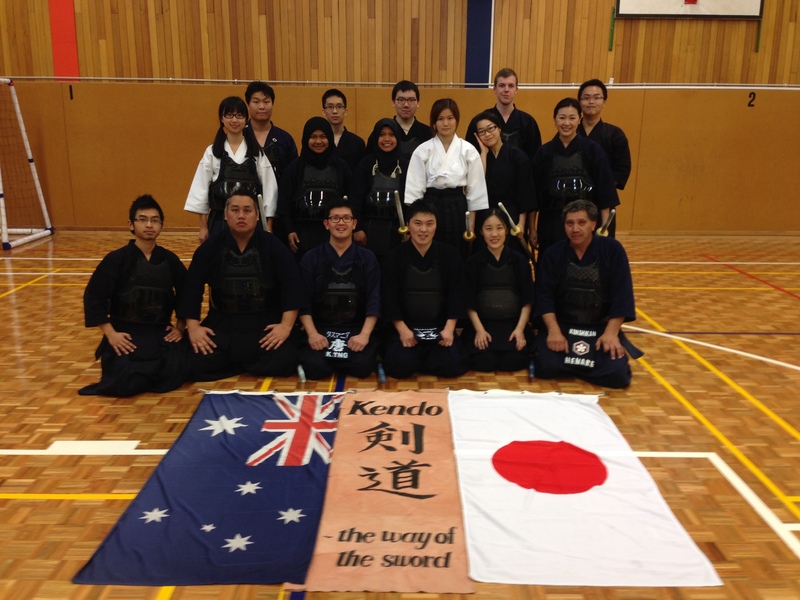 The members of the Hobart Kendo Club contributed generously and along with the funds that were also raised through friends and family we were able to send over $3000 to Iwaki City to provide direct relief to the affected community. One of our hopes is to one day raise enough funds to fly one or two of our Sensei out to Australia to show them what we’ve been doing here and to repay the kindness and patience they showed us over the years teaching us Kendo. Earlier this year the UTAS Kendo Club was formed as a Satellite Club of the Hobart Kendo Club by two of our members (Nak and Ken). Permission to form this club was sought from the HKC senior members and although none of us have the time to dedicate ourselves to be regular instructors of the UTAS Club, we fully support them and are trying to assist them to get established as much as possible through special training sessions where the clubs meet as well as coaching assistance. At the moment the UTAS Kendo Club also has about 20 members so it won’t be long before we can have a real Tasmanian Competition. Ken and Nak are also hoping to send some players to the University Games next year. Finally with our boosted numbers, we hope to form a squad to train for the 2015 Nationals. We have also motivated a small group of Kyu players to attend and anticipate forming our first full team in many years. We hope that by representing our tiny state and giving our members a new goal, the spirit of Kendo will be strengthened in Tasmania. As always – our doors to visiting Kendoka are open, so if you happen to be in Hobart please feel free to join us in training or just come and drop in for a chat. Hobart Kendo Club on Facebook. 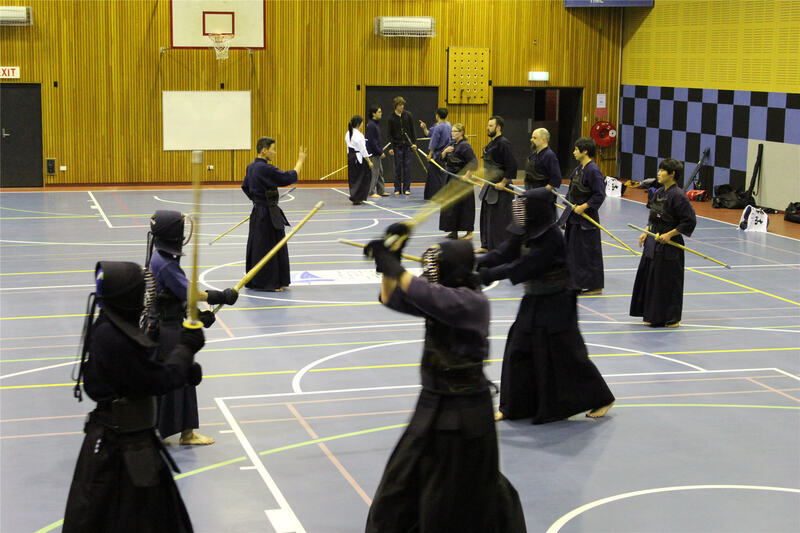 UTAS Kendo Club on Facebook.